This shot features the highly endangered and very elegant Japanese cranes (Grus japonensis) in a perfect position. 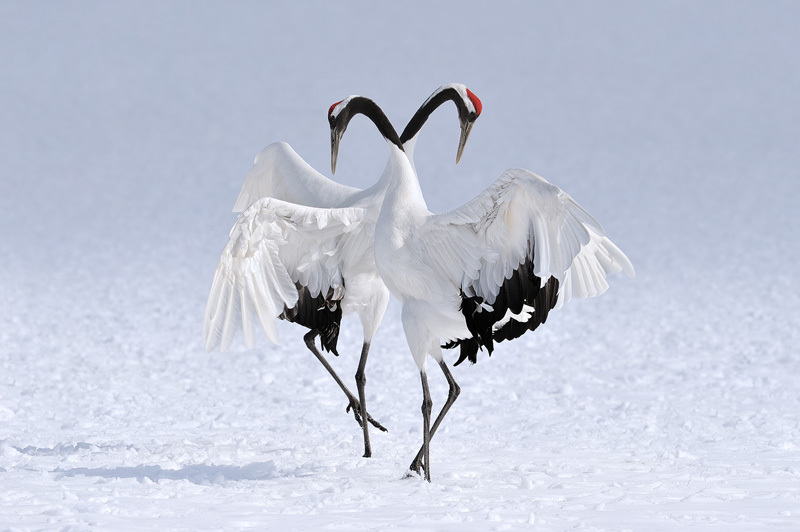 To be able to watch their graceful dances in the stunning snow-covered landscape is real privilege I will never get used to. Photographed on Hokkaido, Japan.